Hello friends. Although we are only in February, our team is gearing up to a full speed. This momentum is integral to justify the magnitude of the programs that we have planned for this year. Thus, we are now calling for partners and sponsors for our monumental 10th anniversary and do hope that you can help us spread the word out. 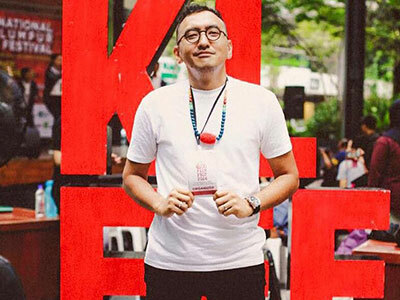 The Kuala Lumpur Eco Film Festival is Malaysia’s longest serving environmental platform encompassing film premieres, community events, industry and hospitality programs, VIP opportunities, and a wide range of performances and events. This month, we have opened the application for workshop collaborators, and something new called “Act For The Community”. This is aligned with our mission for 2017 onwards, which is to mobilize action amongst the community. Call for Support – Time for Some Action! Always wanted to support a green cause but nowhere to go? Eagerly excited to be a part of the leading green movement but nowhere to start? 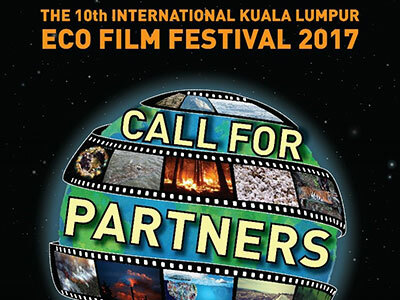 Calling for support in terms of sponsorship or partnership for the 10th International KLEFF 2017 which showcases global environmental-oriented and cultural-driven films during the festival, engage and inspire masses to adopt and embrace the sustainable lifestyle, open up doors and opportunity for local and green business, and also empowering the youth to be the leader of change! Join the movement now and contact us here! Click here to view the KLEFF Info Deck! Call for Workshops – Get Your Application IN Today! 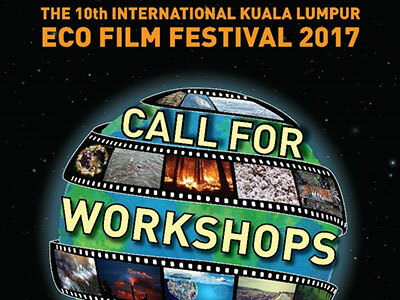 If you’re looking for a great opportunity to deliver your workshop in October 2017, then the Kuala Lumpur Eco Film Festival (KLEFF) may be the right place for you! This year, to strengthen the goal of KLEFF which is CALL FOR ACTION, we are creating a new section for Workshops called "Act For The Community" in which the public can participate in a workshop that creates products to raise funds or for the usage of the community. Click here to know more about joining us in delivering workshops for KLEFF. Call for Entries – Submit Your Film Now! 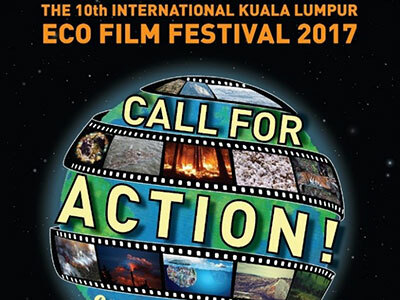 It is the 10th Anniversary for the International Kuala Lumpur Eco Film Festival (KLEFF) and we are CALLING FOR TONS OF ACTION!! If you have an inspiring and urgent environmental story to share, submit your film to us here! KLEFF is an annual environmental film festival organized by EcoKnights since 2008 and has been running for 9 years, serving as a platform to facilitate building a nation of ecologically conscious businesses, individuals, and communities through on-ground activities and film screenings focused on critical environmental issues and stories such as pollution, transboundary haze, indigenous people’s rights, wildlife protection, nuclear energy, climate change, sustainable food production, waste management, local environmental heroes and more as a platform to both local and international film makers. The festival’s themes are the environment, ecology and sustainable development in a comprehensive sense. For more information visit here or contact us at info@kleff.my. We are so excited to see what kind of films that will be submitted for this year’s film festival!